Asthma is a chronic disease that affects the airways in the lungs. Symptoms include shortness of breath, tightness in the chest, wheezing, and coughing. The most common type is allergic asthma, with allergens stimulating an immune response. Common triggers include exercise, pollen, cigarette smoke, and cold weather. Medications to control allergies can reduce symptoms such as a runny nose, sneezing, weepy eyes, and a scratchy throat. 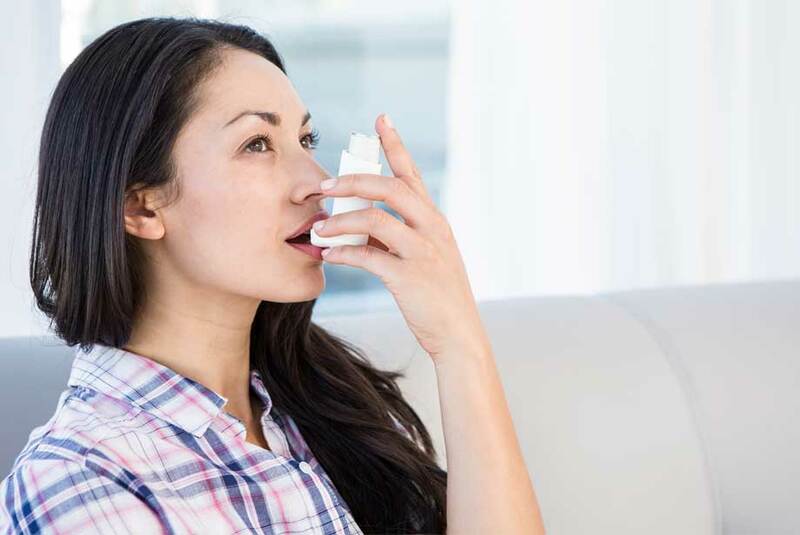 An inhaler is often used to relax the muscles in the airways when asthma symptoms appear. Asthma is twice as prevalent and more severe in women than in men after puberty. Asthma attacks are particularly dangerous for pregnant women as oxygen deficiencies can lead to serious health problems. A recent study revealed that high levels of testosterone in males protect them against developing allergic asthma by suppressing the production of a type of immune response that triggers the condition. Testosterone inhibits the proliferation of innate lymphoid cells (ILC2s) found in the lungs, skin and other organs. ILC2s can cause lung inflammation and damage in response to common asthma triggers including dust mites, pet hair, and pollen. Current treatments for severe asthma include broad-based steroid use that could have serious side effects. Understanding the mechanism that drives the differences between the sexes may lead to new asthma treatments and help prevent the development of allergic asthma. Certified for a large variety of sample types for steroid and hormone research.